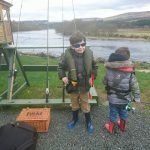 Bring your family or group of friends to Dalguise, and enjoy salmon fishing in the heart of Perthshire. 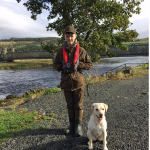 Just outside of Dunkeld heading north is where you will find us, and we will warmly welcome you all ready for your day, days or week ahead on the River Tay. 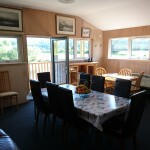 Our comfortable fishing lodge – described by Fishpal as ‘One of the best on the river’ – will easily accommodate a large group of anglers as well as their partners and children and of course other guests! We are able provide catering if you so request (in advance) and of course you are more than welcome to use the fully equipped kitchen to cater for yourselves and any special dietary requirements you have in your group. If a ramble in beautiful surroundings is just your cup of tea, the beat has a well maintained, easily accessible path stretching from the lodge to the southern limits with glorious views over the river and the hills every step of the way. Forage for wild raspberries and strawberries in the summer, pocket some ripe plums to snack on as you walk in the autumn, and spot our resident kingfishers and other wildlife. 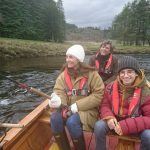 If your guests would like to try a spot of fishing, we can arrange additional ghillies to attend and provide tuition and support for those new to the sport or in need of a helping hand. We even have tackle and kit available for hire if needed. Dunkeld is close by as is Pitlochry and of course Perth City, therefore a day out for all is achievable. Benefiting from such a central location means there is no need for your whole party to decide between the commitment of a full day at the beat, or missing out on the experience entirely – everyone can have the best of both worlds. With the capacity for flexible plans, we can help make your stay that bit more relaxing for both the spectating and fishing members of the group. Being situated close by means that our Ghillie Moray and his wife Sam are a bit more in the know with regards to local attractions and facilities. They will be delighted to point you in the direction of somewhere to stay if you so require, and are always happy to offer unbiased suggestions for eating out and entertainment based on your party’s preferences. 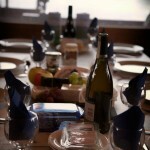 For more information please contact us to for advice on how to put together a memorable visit. 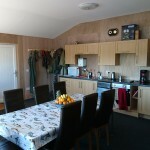 Prices (uncatered) start from £154 per day for up to 7 fishing guests (spectator numbers unlimited, subject to prior arrangement). 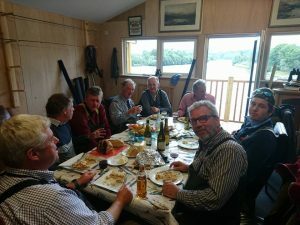 Groups of 4 or more anglers and guests must take the whole beat, therefore allowing exclusive access to the fishings and lodge, and the undivided attention of your ghillie. Dependent upon prevailing river conditions, your ghillie can also offer fishing from the boat without additional charge.